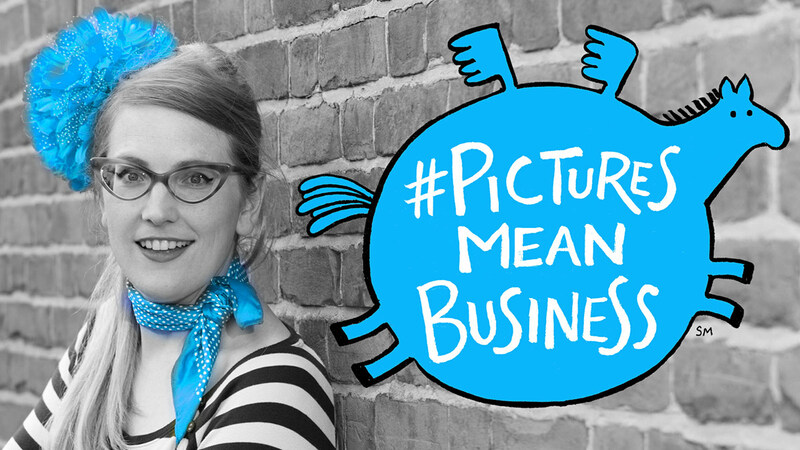 Did you know that crediting your illustrators properly gives you a business advantage? Including your illustrators’ names in your book data means better searchability for your books! Don’t leave the job to untrained interns, this information is vital to sales. 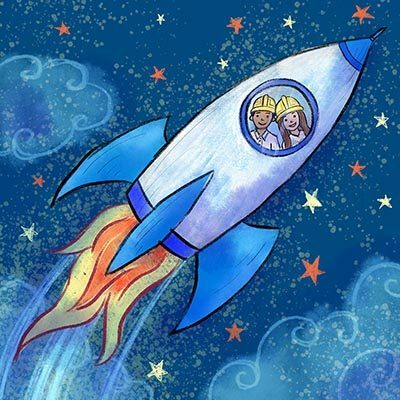 Imagine your illustrator wins a big award; people will go looking for their books to buy, and you want your books with that illustrator to come up right away in potential customers’ searches. 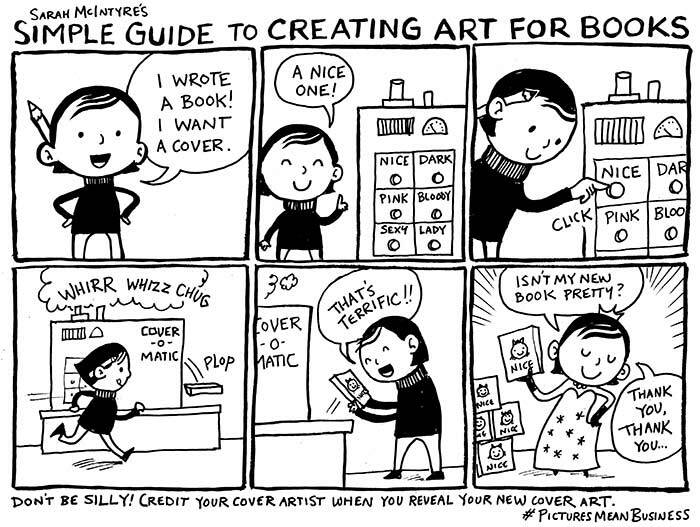 If people love a book’s illustration, they may try to seek out other books illustrated by that artist. Putting your illustrators’ names on front covers helps them build a fan base. People will often buy books because they love the illustrators! 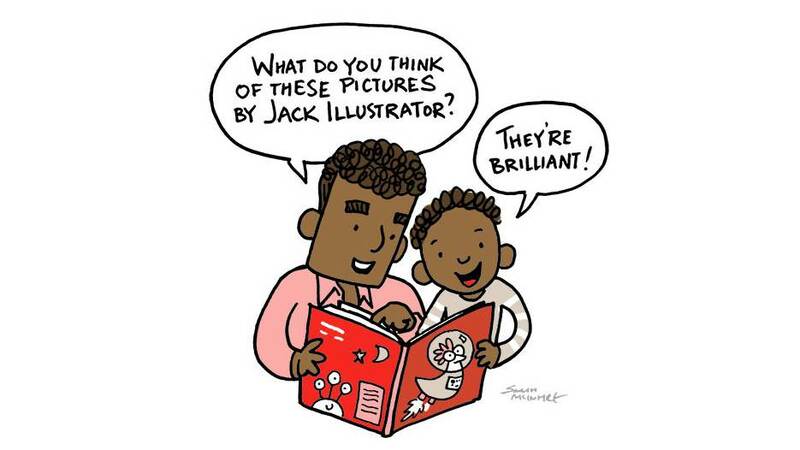 Just because a book is written by a celebrity is no reason to leave out the illustrator’s name; the celebrity can pull up the illustrator’s career and you will be supporting someone inside your own industry. The illustrator’s name doesn’t necessarily need to be in the same size typeface, but it should still be legible in an internet thumbnail image (otherwise that’s poor book design). Do you want your illustrator to stick around for the whole series? If they’re offered two jobs at roughly the same pay, do you want them to take yours? Including their name when you tweet their artwork costs you nothing but a second’s thought, and will help build their career. Many illustrators who look cheerful on the surface may be seething inside when you’ve forgotten to include them in Title Information sheets or press releases and their names never seem to turn up in news articles and television coverage. This is so easy to fix, and can make the difference between a loyal illustrator and one who will leave the second they get a better offer. Illustrators talk. They need to make a living and build their brand just like you do. Be that publisher everyone wants to work for! In a social media world fueled by sharing images, it makes more sense than ever to put your illustrator at the heart of the publicity campaign. This will be so much easier if his or her name is printed on the front cover of the book, and you include them in tweets. Let their fans see you’re proud of their work and they’ll think more highly of you as a publisher and be more inclined to share what you post. Not everyone comes to books through text. Encourage children and grownups who love visual art to be inspired by pictures! Let them know those illustrators are real people by mentioning their names whenever possible. Encourage drawing as well as writing in your competitions. Don’t make it even easier for these readers to drift off to other visual media such as film or videogames – remember your artists produce amazing images, too! Use that pulling power. 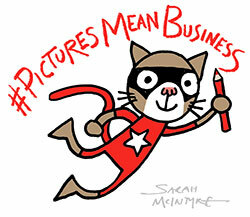 While illustrators are included in Nielsen bibliographic data, as of yet, you can’t track their sales data. You can find out how much a writer is earning from their books, but Nielsen would need to do a manual search to find the same information for illustrators. This narrows the range of books that shops will stock. For example, a shop can automatically see that Julia Donaldson’s picture books with Axel Scheffler sell well, so they order more of Julia’s books. But these books may be selling just as much because of Axel’s pictures, and it’s the pictures children will identify when they see the book in shops or libraries. But without sales data showing that Axel’s a bestseller, the shop won’t necessarily order more books that Axel has written himself or illustrated for other writers. This is bad business for all but a very few publishers because it means bestselling illustrators can’t pull up lesser-known writers, and the picture book sales charts remain heavily dominated by a very small number of names. 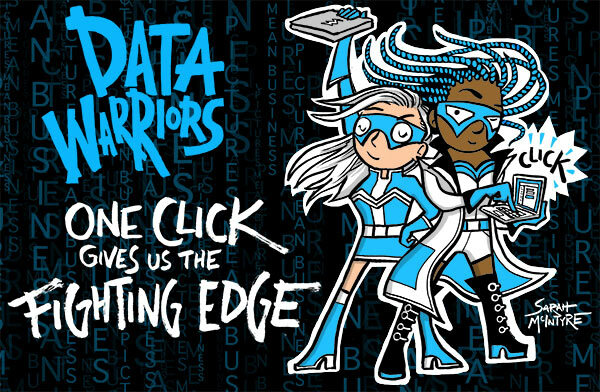 But Nielsen need to understand exactly how publishers and booksellers want this data to work, and we need you to raise discussion of exactly what kind of illustrator data would be most helpful to the industry.